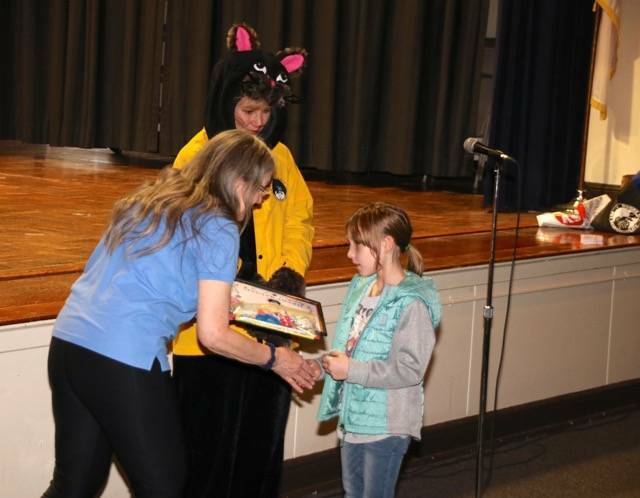 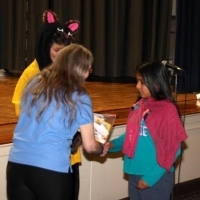 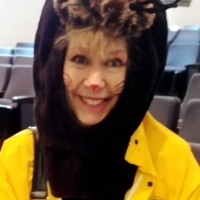 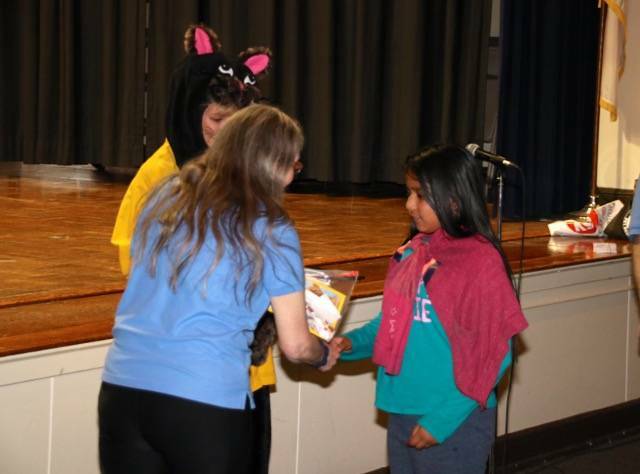 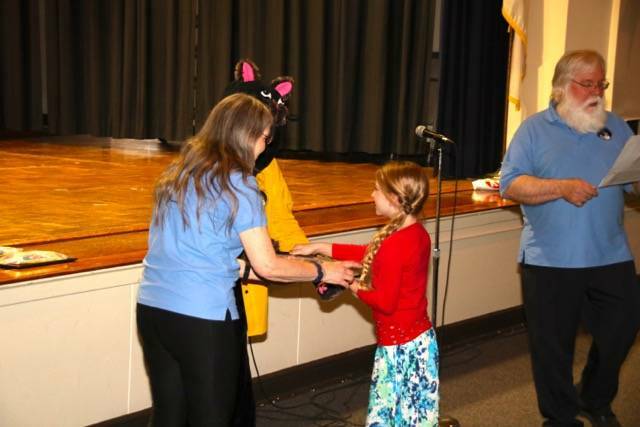 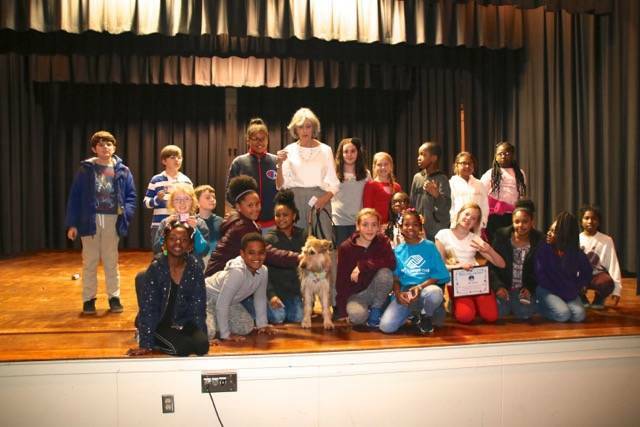 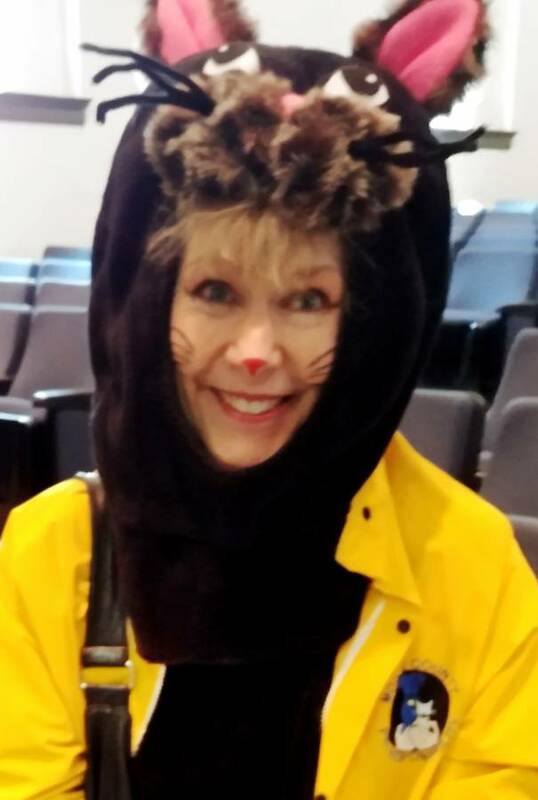 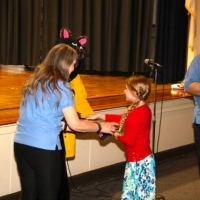 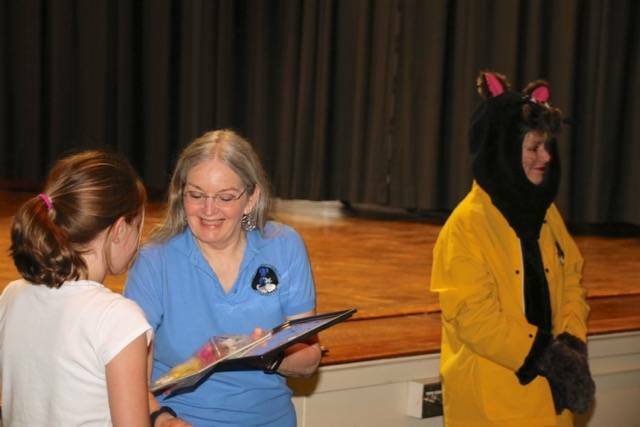 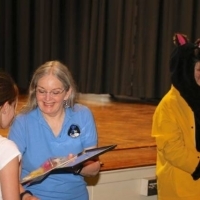 The fourth graders at Southern Pines Elementary School (SPE) gathered for their celebratory Pet Responsibility Assembly in the SPE Auditorium. 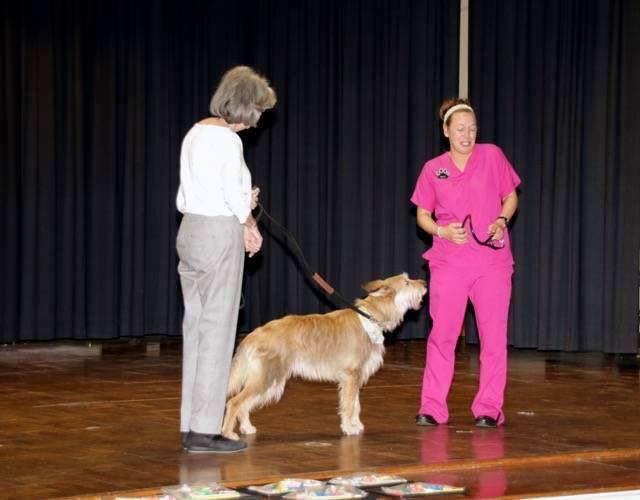 The Assembly reinforces and celebrates all the students have learned during their 5 week Pet Responsibility Program. 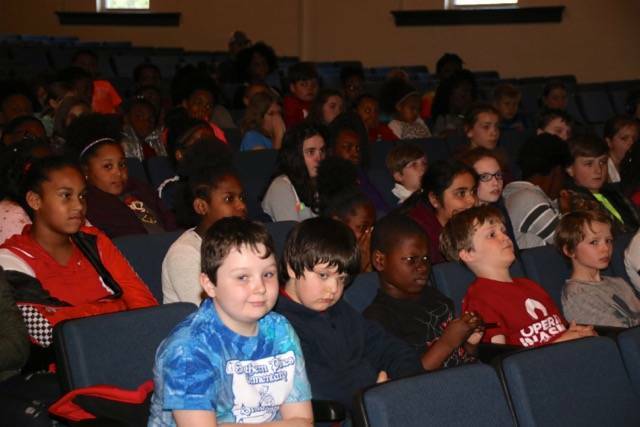 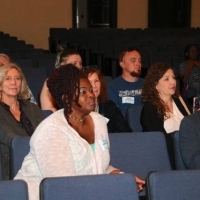 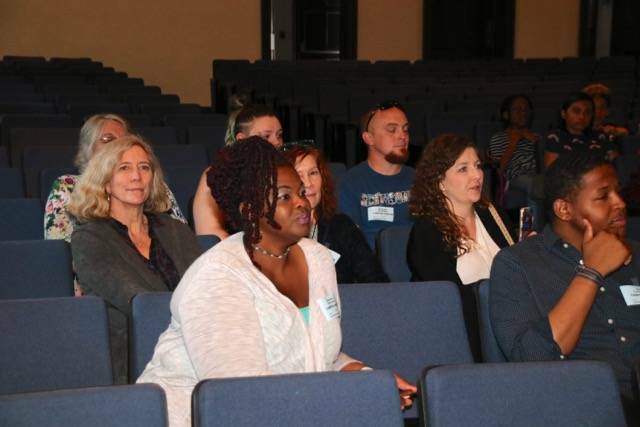 The Principal, Dr Dale Buie, took time from his busy day to join us – thank you, Dr. Buie! 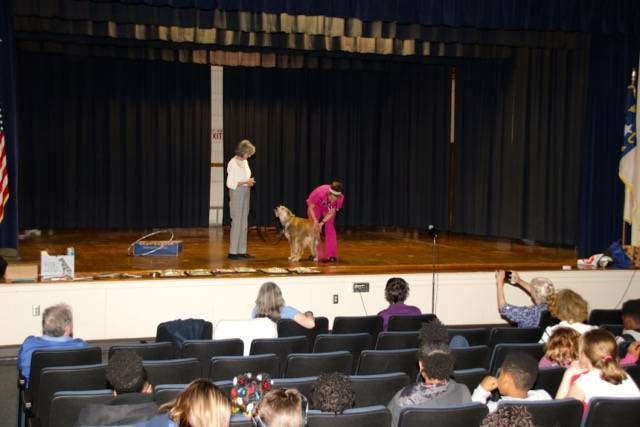 Other special guests were Moore County Animal Services Sgt. 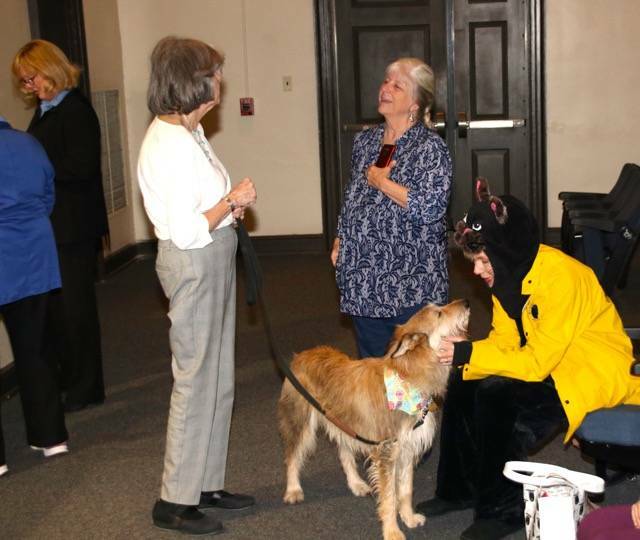 Chris McNeill, veterinary technician Sophia Valera from Yadkin Park Animal Hospital and therapy dog team Mary Wood & Remy. 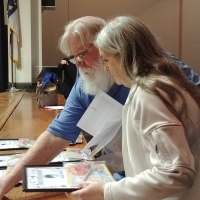 Pet Responsibility Committee (PRC) volunteer, Bill Russell, was wonderful, leading over 100 SPE students thru a review of the Pet Responsibility lessons. 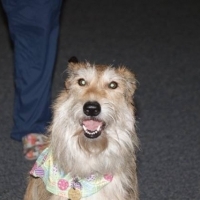 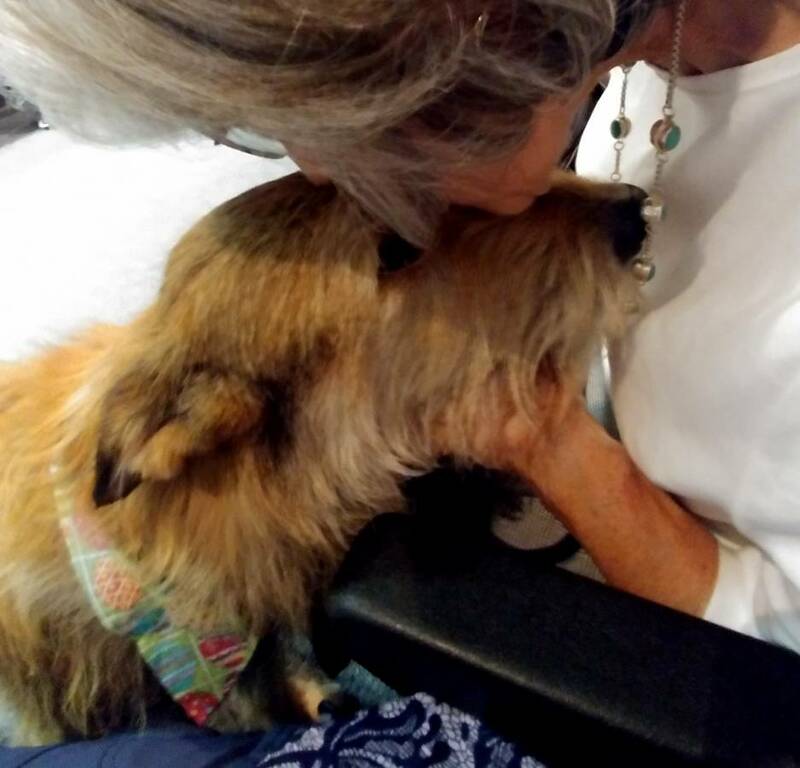 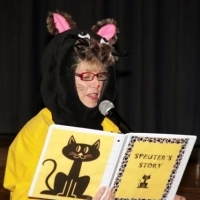 The PRC mascot, Speuter, shared her story of how she found her forever home, full of love and hugs and how she was spayed to prevent unwanted litters. 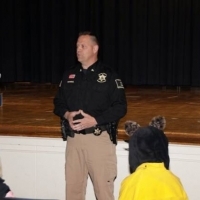 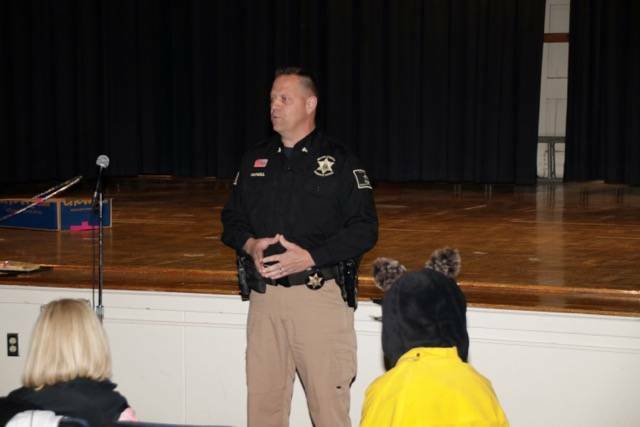 Moore County Sheriff’s Office Sgt. 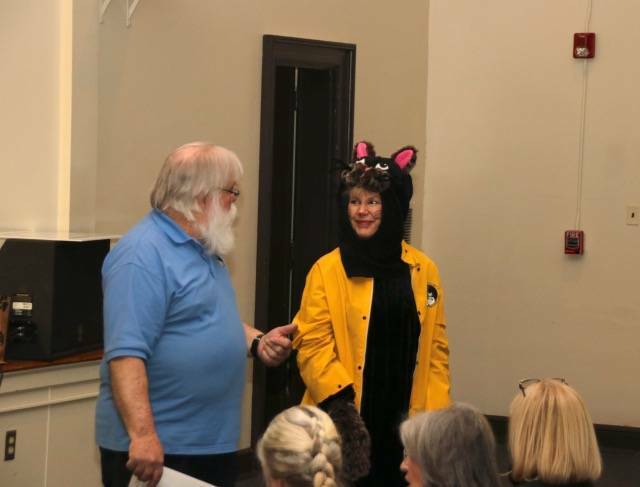 Chris McNeill told about the duties of his job and how he helps pet owners become aware of vaccination requirements and animal care. 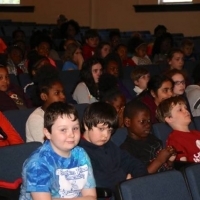 The students had many questions for him. 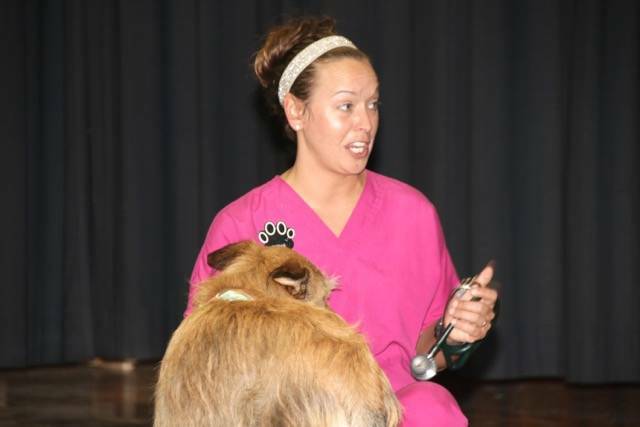 Sophia Valera also told about her job and her inspiration to become a veterinary technician. 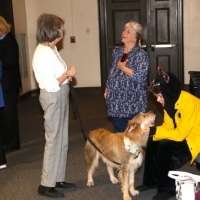 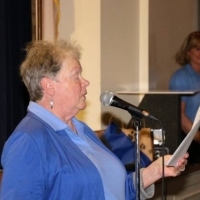 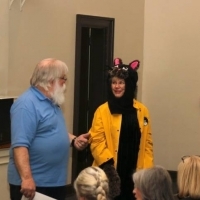 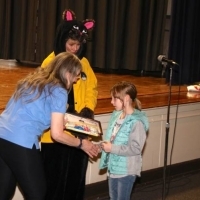 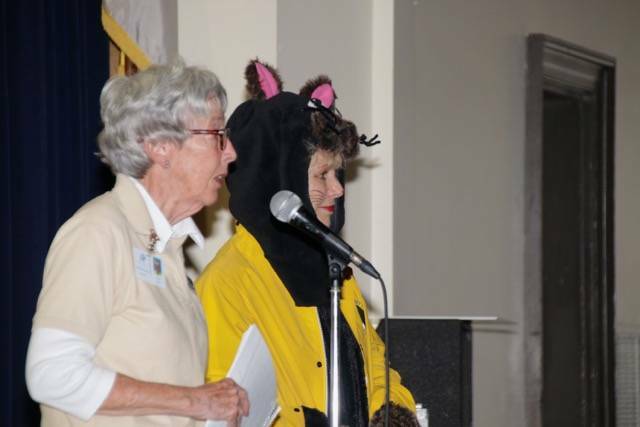 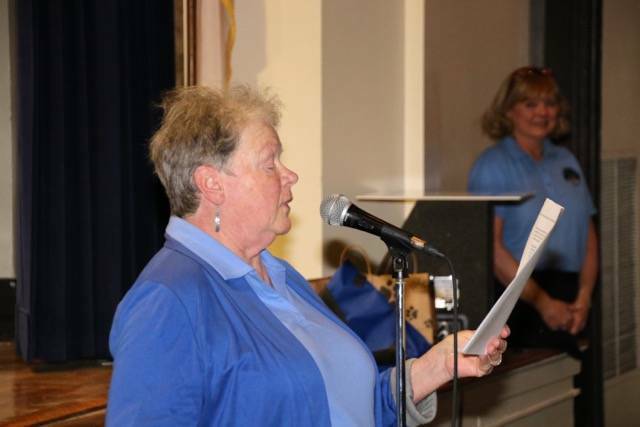 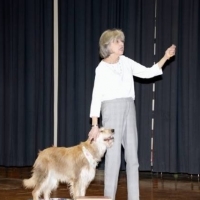 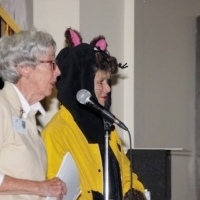 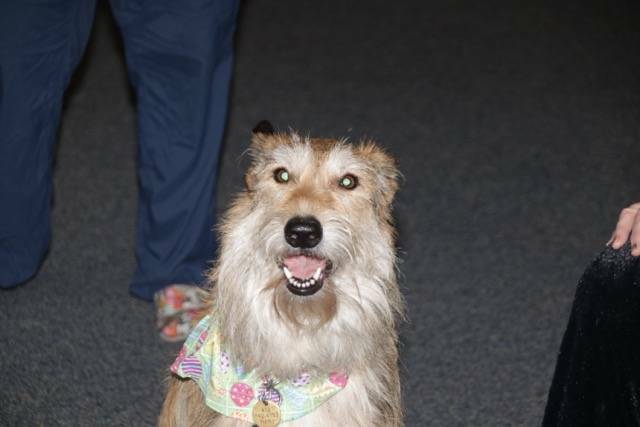 She conducted a mini-exam of therapy dog Remy, explaining what she was doing, and pronounced Remy “a healthy athlete.” Remy then demonstrated a few tricks she’d learned and handler Mary Wood explained that they were presently working on Remy learning to skateboard! 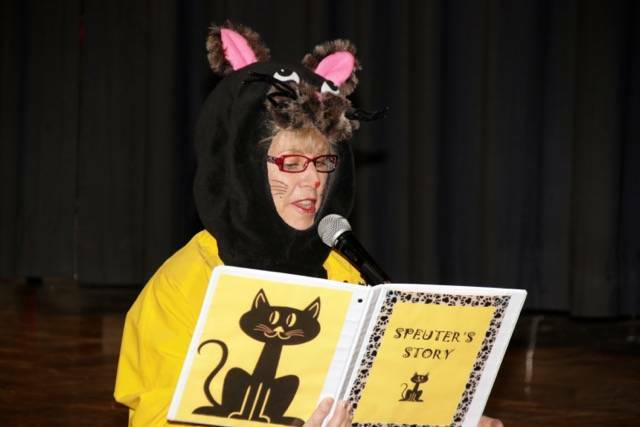 The Speuter Story Contest winners were announced: Ava, Vienne, Angelina, Lily, Gissell, Tristen, Khylee, Amy, Nia and Jonah. 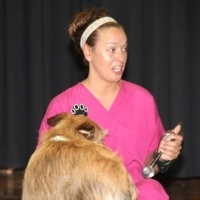 Several spay /neuter vouchers were donated to family members and classmates. 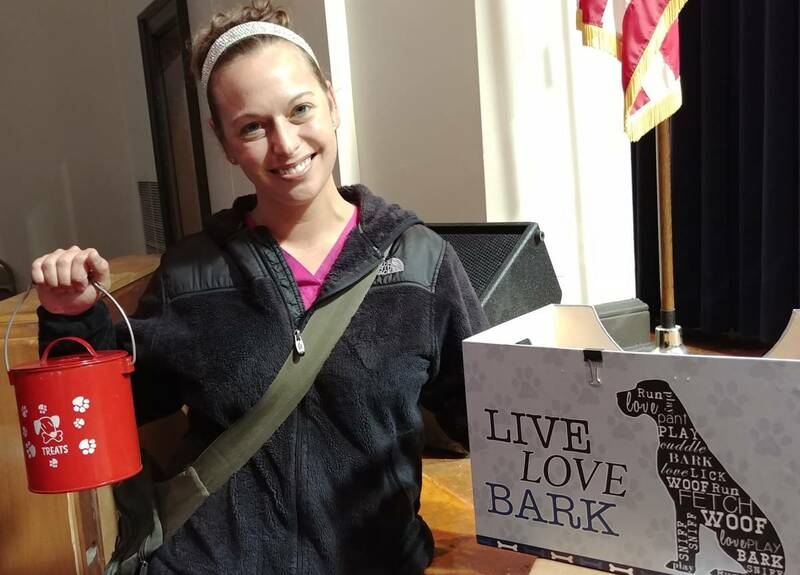 As a result, six dogs and two cats will be fixed, preventing unwanted puppies and kittens. 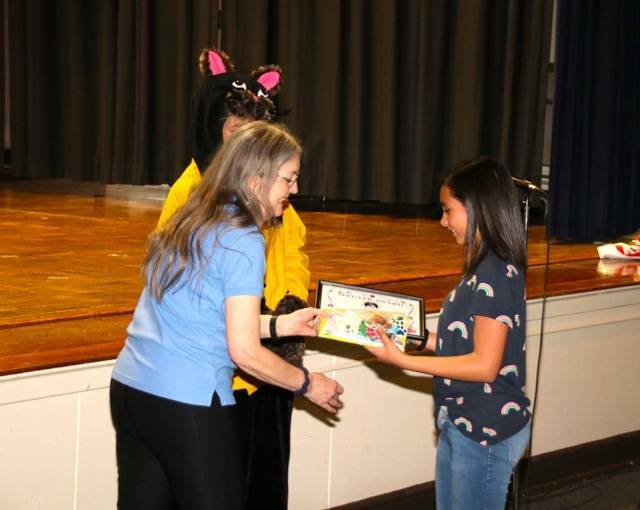 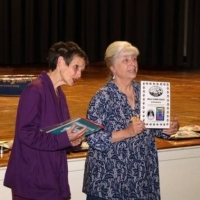 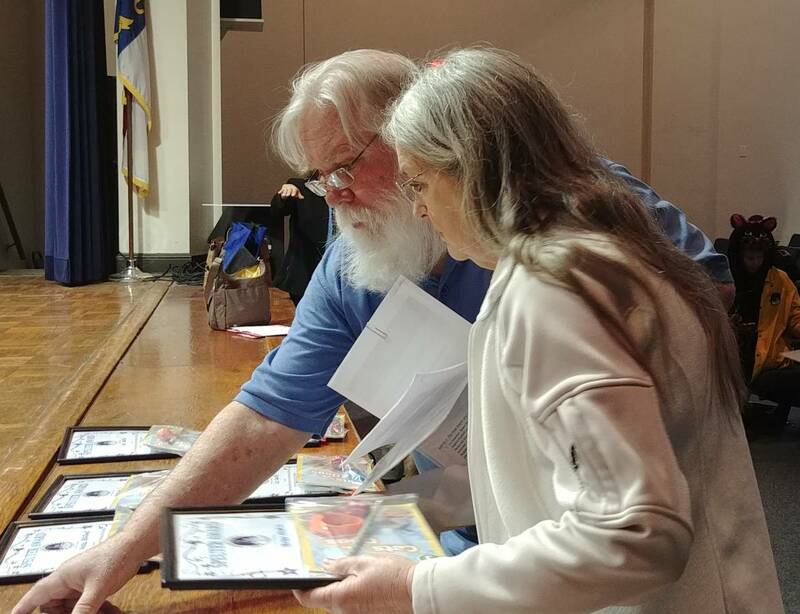 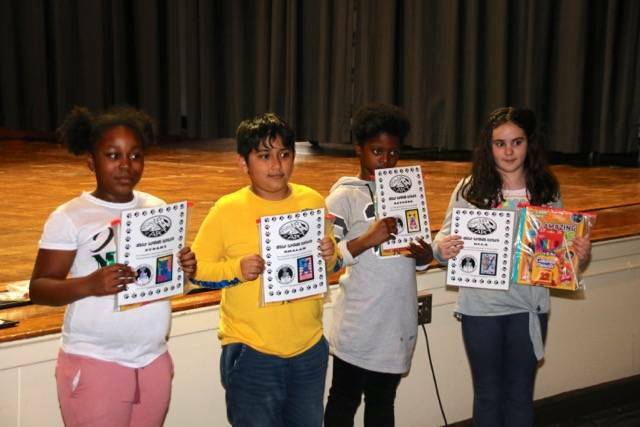 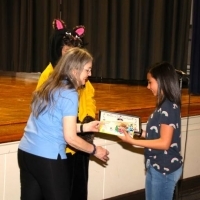 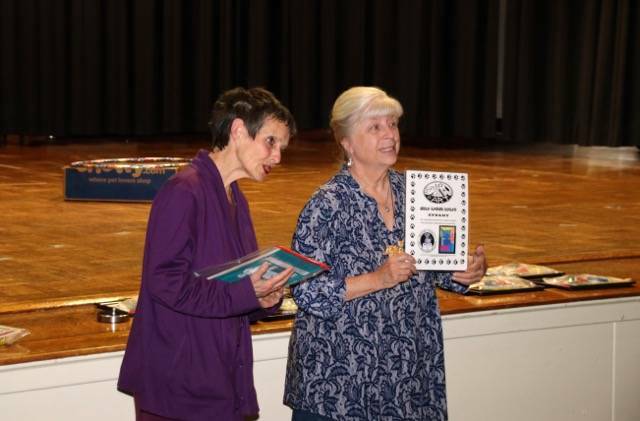 Art awards were given to four students for showing creativity and imagination in designing bags that will be given to the Spay and Neuter Veterinary Clinic of the Sandhills, for dispensing medications. 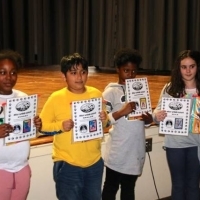 The students who won Star Artist Award Certificates were Ella, Zynary, Shalam and Aayonna. 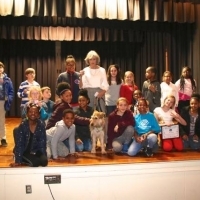 As the Assembly wrapped up, Ms. Nash’s class headed to the stage to have a group photo taken with Remy as a “Thank You” for being good sports about not being able to have a therapy dog team in the classroom with them. 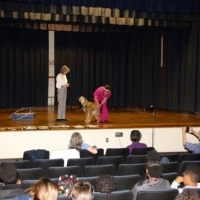 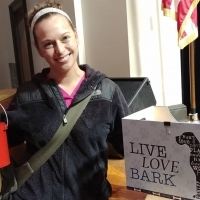 SPE students are now prepared to be responsible with their own pets, to teach others about pet responsibility and to always advocate for animals. 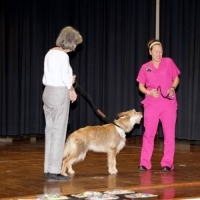 They are excited about their new roles as Animal Advocates! 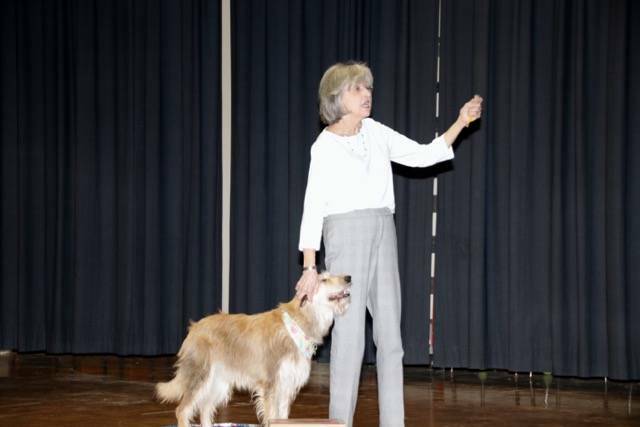 Below are photos from the Assembly and also a few from a classroom lesson.